After Christmas Re_up with an added colorway.. Enjoy! only 30 in each color..
Mele Kalikimaka Hau’oli Makahiki Hou! The end of the year is finally upon us and I think it’s agreeable that we are all ready to head into 2009. Fresh starts, resolutions to uphold and many more forthcoming blessings to look forward to. 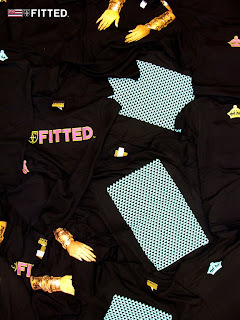 For us, this past has been highly productive, we’ve banged out so many new designs, it’s almost overwhelming. In a good way of course. Our work ethics and release regiments are quite unlike any other, and we’re proud of all our endeavors. Some say quality is better than quantity, but we think we’ve done a great job at holding up to both quality product and in good amounts without really flooding the market. This brings us to a brand new tee titled “Year In Review.” Printed on all black, this tee features all the classic graphics we’ve ran in the past that you’ve all grown to love, along with a few that we never got a chance to run, all neatly laid out into one design. These graphics include Aloha Served Daily, Hawaiian Time, Varsity Squad 116, Live At The BBQ, Exploited, One Step Dub among many other highly recognizable ones. The back sees a white crown. 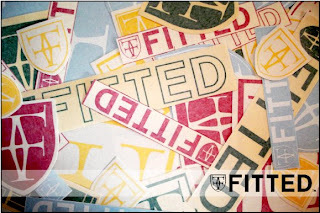 Also as a heads up, we have some really dope, brand new Fitted gift cards in, just in case you are unsure what to purchase as far as gifts are concerned. With that, we want to wish all of you a Happy Holidays, please be safe – eat lots and spend lots of quality time with your family / significant others. See you next year!! Just a quick heads up, we have another brand new tee which sees “Ashy To Classy” from this past year which we decided to bring back for a quick cameo. 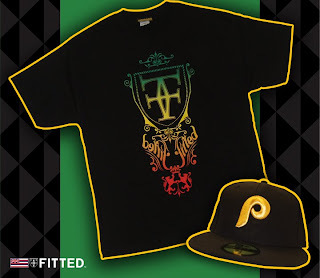 Utilizes red, gold and green, printed on all black. Finishing everything off here, we have a custom all wool Phillies hat with a metallic gold Phillies logo and tonal New Era & MLB logos. We just received in yet another tee that you can add on to your Christmas wish list or simply pick one up for yourself. Standard Fitted logo tee on gray featuring teal on the front and back. 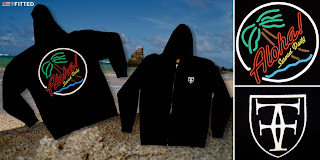 Winter season is officially upon us, and although we may not be receiving as much of the cold, brisk weather as the rest of the United States is, it’s been proven that a nice, warm zip-up hoodie needs to be called in for action. Especially with the random down pouring of rain we’ve been getting, and the unpremeditated high wind gusts that appear out of nowhere at times. 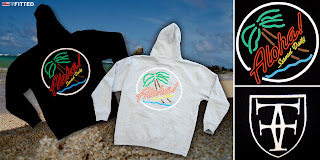 Luckily your boys at Fitted banged out a dope, all black zip-up hoodie which features the crest in white on the left breast area, two front pockets, pull strings for the hood and on the back is the infamous Aloha Served Daily in red, green, blue, brown and white. Immaculate, pristine, refined…. These are limited to exclusively 50 pieces so please head down as soon as you can to scoop yours before they’re gone. Just a heads up, tomorrow we are releasing a brand new tee which we’re calling The Mokes, short for the Mokulua islands which are located almost directly off the beaches of beautiful Lanikai Beach in Kailua. 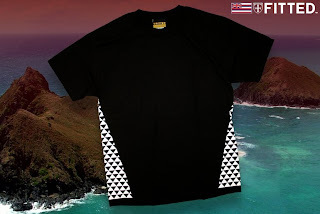 The shirt is printed on all black and features a white tri-lock pattern on each side, each of them representing one of the Mokulua Islands, respectively named Moku Nui (the larger island) and Moku Iki (the smaller island). The back features the crown in white. Waikiki. The “Ki’s,” as we know it. Hands down, it is the most recognizable and highly desired tourist destinations in the US, which completes our burgeoning Metropolitan skyline. It’s always breathing with life, it doesn’t matter what time of day. It’s where the hustler’s mentality comes into play and always stays in effect. It’s a place where the rich gets wealthier and the poor strive to reach their own wealth. You can walk down the strip and swagger yourself down with a dapper Louis Vuitton suit or hele on down to one of the many beaches and get hustled in a game of chess in the shade. With all the randomness that occurs day & night, there’s always a heavy HPD presence – but for the most part, the Ki’s is a pretty peaceful place. What better way to pay homage to the sprawling area of the Ki’s that we all, both local and tourist, love then to bang out a whole pack which includes a custom cap, a matching tee and our first ever skateboard deck. 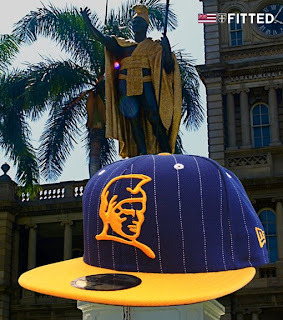 Starting with the cap, it features an all over print of the many subtleties that are associated with Waikiki, full moons, tropical flowers, palm trees and the calm ocean, which runs under the brim as well. 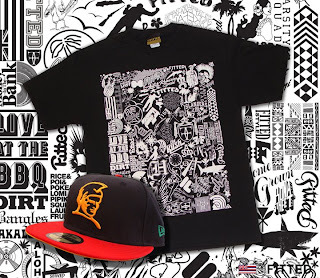 The inside features a really gangster, neon green sating lining with the infamous tri-lock pattern which gives it more “oomph.” The tee is printed on all black and features a 3M reflective tri-lock print on the front, the crown on the back, Aloha Served Daily on the right sleeve and the crest on the right. And as you read up above a little earlier, we are proud to introduce our first ever Fitted skateboard deck in which we collaborated with APB (A’ala Park Boardshop) on. 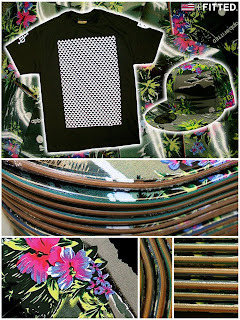 The deck utilizes the same “Ki’s” print as seen on the hat, on both the top and bottom of the skate deck. 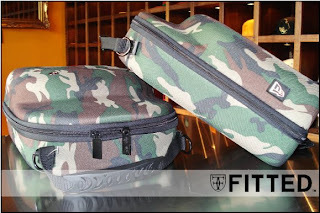 These are extremely limited, with just 50 in stock at our shop and 50 over at APB. Make sure you don’t miss out on this rare, one-of-a-kind Fitted skateboard deck – if you need any last minute shopping gifts, this is perfect! Same rules apply to the parking as usual.. See you all on Saturday!